Ruth Chandler grew up in Japan where the vibrant color and texture of Japanese fabric, combined with the simplicity of Japanese design, caught her attention. Ruth learned basic Sashiko (an old needlework technique) from an elderly neighbor at the age of four, and began to create and sew her own clothes at the age of ten which became an outlet for her imagination and creativity. Ruth has authored two books and teaches at The Thread Lab and Textiles West in Colorado Springs. 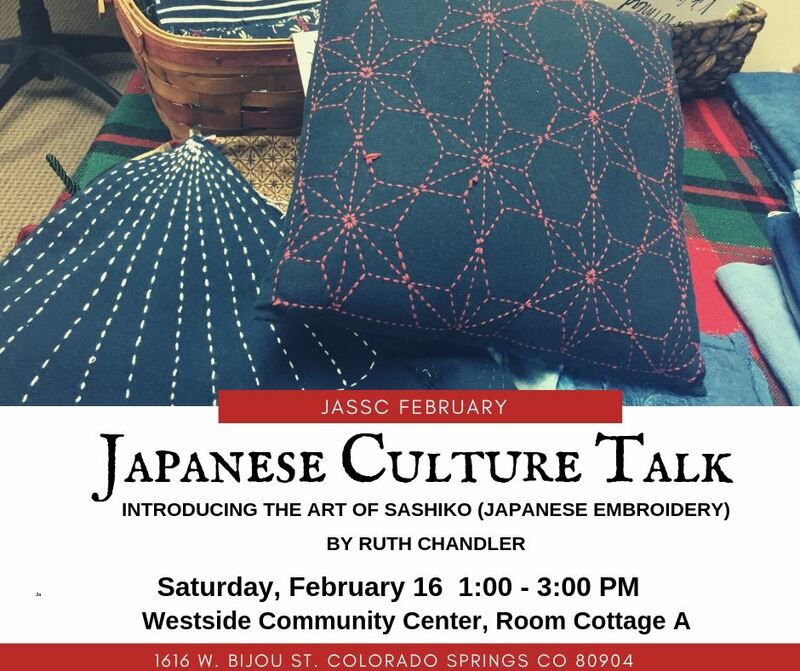 At the JASSC’s February gathering, in addition to introducing Sashiko and other Japanese textile crafts, Ruth will talk about her life in Japan.